Directed by Wash Westmoreland. With Keira Knightley, Fiona Shaw, Dominic West, Robert Pugh. 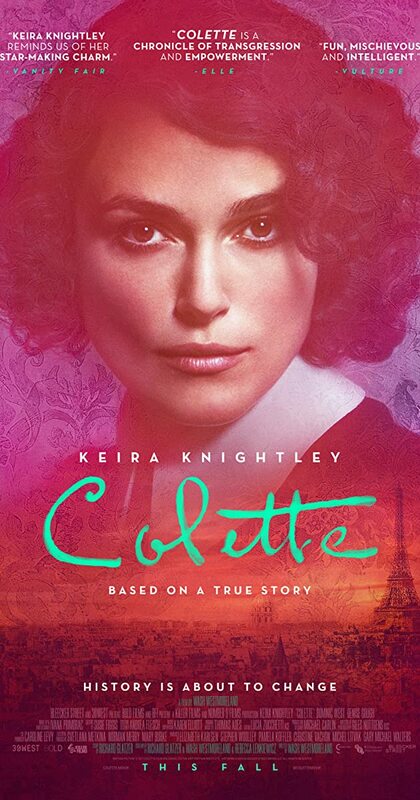 Colette is pushed by her husband to write novels under his name. Upon their success, she fights to make her talents known, challenging gender norms.